The sister of a man charged with setting off bombs in New Jersey and New York and injuring more than 30 people this month told police in August 2014 that he was getting ready to hit her with a dumbbell and stabbed another brother in the leg when he jumped in to help her, police reports show. 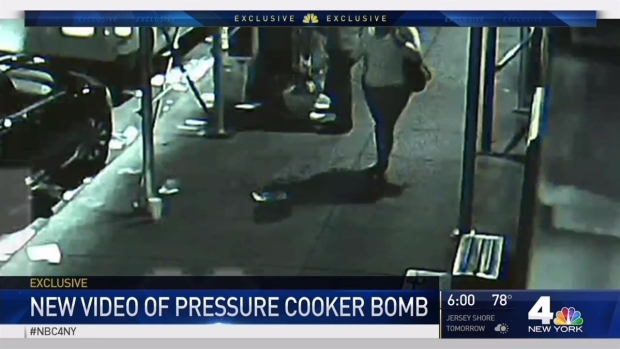 NBC 4 New York has exclusively obtained new surveillance video showing suspected bomber Ahmad Rahami dumping luggage allegedly containing a pressure-cooker bomb on a Manhattan street Saturday night, and the heartstopping moments in which multiple passersby fiddle with and even kick the explosive device over the next hour. Ultimately, police are called to the scene and a robot removes the alleged bomb. Marc Santia reports. Investigators are looking into whether the man who planted explosives in New York and New Jersey over the weekend took a train into New York Penn Station with the devices, senior law enforcement officials told NBC 4 New York. Jonathan Dienst reports.